Costa Cruises operates 15 cruise ships worldwide with orders for four new ships by 2021. They are building two ships for the Costa Cruises brand for deliveries in 2019 and 2021. And, for their Costa Asia brand, they are building two ships to be built in 2019 and 2020 for the China market. Costa’s itineraries cover the Mediterranean, Northern Europe, the Baltic Sea, the Caribbean, Central America, South America, United Arab Emirates, Far East, Indian Ocean, and Africa. Their passengers are mostly European with a demographic that includes families. 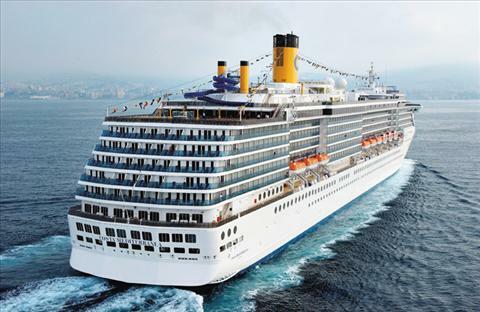 Costa Cruises’ history dates back to 1848 when they were involved in commercial shipping. Costa’s first passenger vessel crossed the Atlantic from Genoa, Italy to Buenos Aires, Argentina in 1948. In the 1960s Costa Cruises shifted from emigration to cruising in the Mediterranean and Caribbean. In 1986 Costa Crociere SpA was established. In 1997, Carnival Corporation acquired 50 percent of Costa Cruises and took 100 percent ownership of the cruise line by 2000. In 2004, AIDA Cruises was transferred to the Costa Group and in 2014 Costa Cruises absorbed Ibero Cruises. In 2015, Costa Group changed its leadership team by appointing a new President of Costa Cruises and a new President of Costa Asia. They report, along with the head of AIDA Cruises, to the CEO of Costa Crociere SpA (Costa Group). Also in 2015, a central Marine Operations Center, named Carnival Maritime, was created by Costa Group. Carnival Maritime provides support to all technical and nautical aspects of the vessels operated by Costa Crociere, Costa Asia, and AIDA Cruises. This includes Human Resources Deck & Engine and Technical Procurement. Costa Cruises employ an international crew of 19,000 onboard crew and officers coming from 70 different countries. To apply, visit their employment pages for a list of the cruise ship jobs that they recruit for. Choose from Hotel Careers, Deck and Engine Careers, and Human Resources. For a list of current vacancies, click on “Work for Us” in their drop down menu, and then choose “Onboard”. Click on the Job Title that you are interested in and apply online. You will be prompted to create a profile.